"Recently, Dean received a phone call from a past client from his previous job in New Jersey. 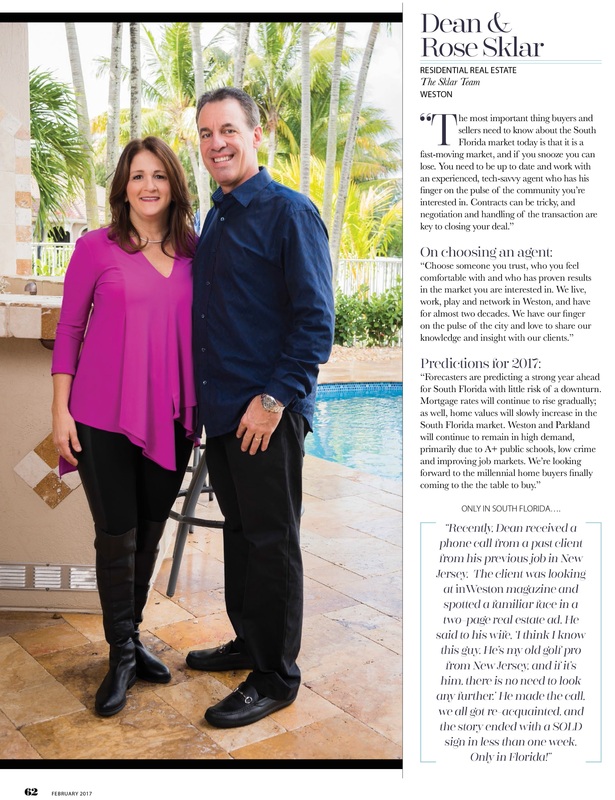 Theclientwaslooking at inWeston magazine and spotted a familiar face in a two-page real estate ad. He said to his wife, ‘I think I know this guy. He’s my old golf pro from New Jersey, and if it’s him, there is no need to look any further.’ He made the call, we all got re-acquainted, and the story ended with a SOLD sign in less than one week. Only in Florida".